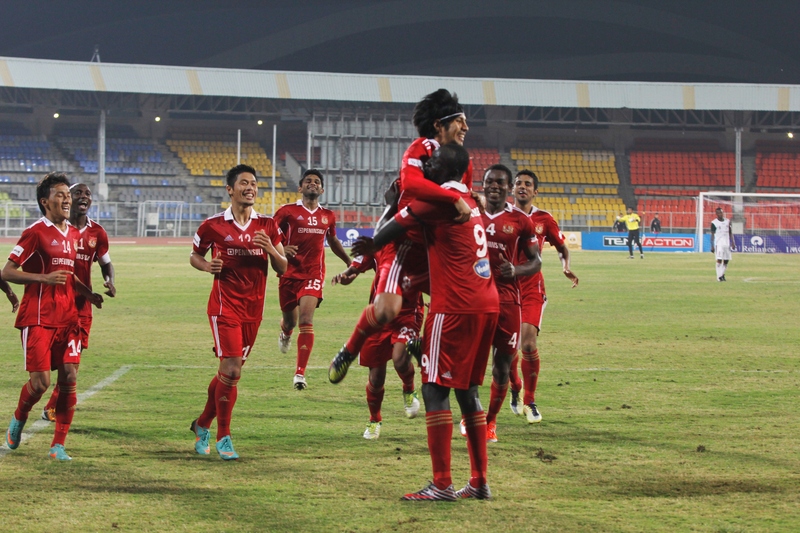 I-League Round 8: Pune FC Look To Extend Their Unbeaten Run. Indian Footballai??i? ?s premier competition I-League is getting into the thick of the action with each passing round. Round 8 sees Derrick Pereiraai??i? ?s Salgaocar FC Ai? ?take on the other title contenders East Bengal while a resurgent Mohun Bagan will take on struggling Dempo Sports Club. Pune FC meanwhile looks to extend their unbeaten run. Mohun Bagan Look To Compound Troubles For Dempo S.C.
Five times I-League champions Dempo sports club have not got to a flying start which was expected from them given the quality in their side. Arthur Papas and his side have been far from impressive in their previous matches except the match against East Bengal. The defence is the problem for the Golden Eagles. They are conceding goals in the heaps which are not helping the cause of the team. The Australian centre back Simon Collosimo and Japanese defender Shinnosuke Honda have not performed upto the expectations and both of them will have to raise their performance level. Dempo have a strong midfield and the midfield has created quite a few chances but but strikers have failed to convert those chances. 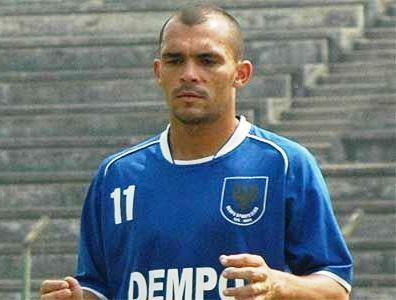 Beto has been in impressive form so far and the Brazilian will be man to watch out for Dempo against Mohun Bagan. Irish striker Billy Mehmat has been criticized for not scoring goals for the club. The striker has quality and need make some significant contribution. Mohun Bagan will continue to be without the services of their talismatic striker Odafa Okolie. The striker will be missed against Dempo. Mohun Bagan has shown an indication of coming back into form. The club registered back to back two wins. They were able to surprise Salgacar FC and Mumbai FC where all odds were against them and they will be going into the match with a lot of confidence. Salgaocar FC are no doubt the favorites going into the match against East Bengal. The green brigade under Derrick Pereira has been on an amazing run of form and the table toppers have looked amazing in every department of the game.Ai? ?Scottish striker Darry Duffy is taunted to be the signing of the season. The former Rangers man is highest goal scorer in the league and has put the rival defense under immense pressure. It will be very difficult for the East Bengal defense to contain the striker. The midfield looks fluent with the likes of Francis Fernandes, Rocus Lamare doing some excellent work for the Salgaocar while youngsters like Brian Mascarenhas and Clifton Dias have also shown their skills. The defense looks solid with Augustin is the real hero in the back for the Goans. East Bengal after their AFC Cup commitment will look to concentrate fully on the I-League. The Red and Gold brigade has looked rusty in the few matches they have played. Their new Brazilian coach Marcus Falopa has come under severe criticism with his tactics and the club has not been at his best under the Brazilian.Ai? ?The midfield looked okay for the club but some exceptional performance from Cavin Lobo and Dika has given some ray of home for the Red and Gold fans. The Major worry for the East Bengal is their striking department as the strikers upfront – Chidi and James Moga have looked far from impressive. The duo looked slow on the ball and defenders have found it easy to close them down. Both of their performance will determine the results of the match. Can Bengaluru FC Register Their First Away Win? Bengaluru FC had an amazing start to their campaign in the league. The new boys of the league played lots of matches on the trot at home and the club took advantage of playing at home and extracted maximum points out of it. The club played its first away match in the last round against East Bengal in sluggish ground conditions. 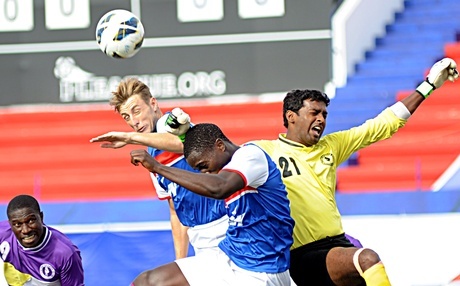 The Bengaluru boys struggled in away match and conceded 2 goals. Many pundits have predicted that Bengaluru FC will struggle in coming few matches. Itai??i? ?s on the team now to prove their critics wrong and give some solid performances. First time in league Bengaluru FC ‘s Ai? ?defense looked shaky and they were out of ideas in the final third. The club will be under a little pressure now since tasting first defeat and will have to come out strong against Mumbai FC next up. Mumbai FC on the other hand after a good start has lost the way; they had to taste defeats in last 2 outings. Their influential Afghanistan internal player Haroon Amiri will not be present for this match and his absence will put them under some pressure. Sandjar Ahmadi has settled well with the team. The 21 year old strikerAi??hasAi??playedAi? ?his heart out for Mumbai FC andAi? ?he will have a major role to play in denying Bengaluru FC any point from the fixture. Can The Defending Champions Bounce Back? I-League defending champions would have never hoped to get such horrid start to their I-League campaign. The club looked in complete mess and out of ideas in all fronts of the game. They have tried everything so far but failed to get that elusive victory. Hugo Machado has been the only player who has done well for the club. The Portuguese midfielder shown some excellent skills but his team has let him down. The team looks like playing without any plan and lacks quality upfront which has added to the misery. The defense department consists of experienced player like Raju Yumnam, Diesel Franco and D. Ravanan but somehow they have not played as a team. 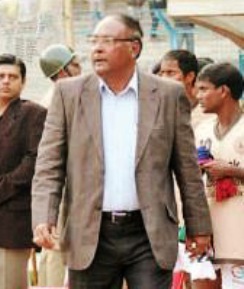 Reappointment of Subhas Bhowmick might turn the things around for Red Machines. He was the influential figure last season in winning the League. His shrewd tactics and man management would come handy in the revival of Churchill Brothers. United SC have the problems of their own. Crunch financial situation and defeats in last 3 matches must have brought has brought down the moral of the team. The team’ s major worry is lack of depth in the squad. The team does not have good bench strength and the effects are getting visible now. Ranti Martins has not been in his usual form and United SC will be hoping that Nigerian comes back in the form in the next match. United SC however will be looking for inspiration from their new signing – Syrian defender and defensive midfielderAi??MohamadAi? ?Al Hasan. Pune FC by far has looked the best team in the I-League. They have played some entertaining football and looked cut above the rest. The academy graduates have stepped up well in the first team. The likes Nikhil Kadam and Hoakip have been impressive. The fluid passing tactics of Mike Snoie have impressed all.Ai??Ai? ?The signing of Calum Angus looks by far the best in the league. The defender is amazing at the back and looked sharp with his free kicks and corner kicks. He will look to continue his good run and put some pressure on Sporting Clube de Goa. Douhou Pierre and Azumi Arata continue to do well in the middle of the field.Ai? ?All eyes will be on the Pune FC’ s new signing Riga Mustapha. The Dutch U-21 international brings with him the experience of playing in top division of Europe. Sporting Clube de Goa has been impressive in the league so far. One of the low budget team which has done well with youngsters in the team. Coach Oscar Brazen has been the man who ahs transformed them into a force and the team looks good while playing and are sitting pretty well at the top half of the table. They will be missing the services of the striker Jerry Karpeh who was shown a red card in last match against Mohammedan sporting.